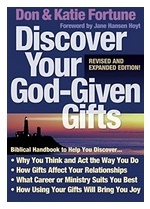 Classic Exchanged Life Counseling applies the cross-oriented deeper life message to strategic Discipleship Counseling. It deals primarily with the heart, so that behavior change and topical guidance are primarily addressed on the resurrection side of the cross (Gal. 2:20). Handbook to Happiness and Handbook for Christ Centered Counseling by Dr. Charles Solomon have been foundational to this branch of Christian Counseling. Those familiar with Grace Fellowship’s edition of the “Wheel diagrams” recognize that the process boils down to the counselee reframing his/her journey from the self-life to the Christ Life (see F.B. Meyer’s book by this title). 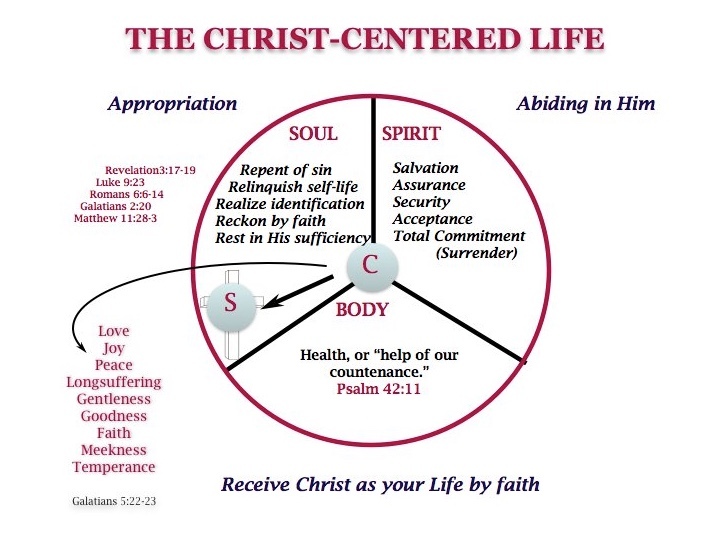 This past year GFI has started to use a new diagram to assist people in understanding the process of how to appropriate Christ as Life (Col 3:1-4). Although our identification with Christ is a gift of God at the new birth (1 Cor. 1:30) our practical experience of this (in the soul and behavior) is conditional. How does one move from the defeat of Galatians 3:1-3 to the victory of Galatians 2:20;5:22-24? Some (trying to avoid the mistake of self-effort in sanctification) say “there is no how to.” Others assume that the practical experience of victory is automatic if the exchanged life is interpreted in a psychologically comfortable way. Consider the following biblical, practical explanation. The appropriation diagram has been helping counselees with a simple summary of the response God calls us to for the abundant life (John 10:10). As the discipler cooperates with the Holy Spirit, he/she facilitates this process of appropriating Jesus Christ as Life. In this way the counselor serves like Joshua (Josh. 1-3), guiding the redeemed wanderer cross the Jordan River into Canaan. Those who are involved in personal ministry are invited to study and share this appropriation diagram. We would appreciate your feedback about this appropriation tool. “One of my mentors has gone to be with the Lord. A treasured spiritual luminary has left this earth. DeVern Fromke is now with God. He was 93. “Each line in this 12 minute video was inspired by a Bible passage … Over 150 in total! When you visit AbbasKids.com, download the free video, Cartoon Gallery and PDF books by Barry Adams. They are full of visual grace-and-truth for children of all ages! As Exchanged Life disciplers/counselors convey the message of the believer’s union with Christ, the nature of eternal life is addressed. Here is a brief biblical outline on this theme. God is eternal…without beginning and without end. Eternal live is essentially God’s Life. Eternal Life is not restricted or defined by chronological time. Eternal life is received when a person is redeemed (born again). Eternal Life is Christ’s Life. God has made provision for Christ’s life to be the believer’s life source experientially. This spiritual union of the Christian life is symbolized in the Vine – branch relationship. This article in PDF: What is Eternal Life? “Trust in the Lord with all thine heart, and lean not unto thine own understanding” (Prov. 3:5). Restful trust is developed not so much by what the Lord Jesus does for us, but by who He is to us—and that necessitates fellowship. “It is a wonderful thing to be so satisfied with the Lord Jesus’ company, that we can be tranquil about everything. You will often find that it is the one of the most anxious temperament who finds most in Him, when such an one begins to know Him. I remember when I used to think that I should be happy beyond conception if I were able to say, ‘I will fear no evil,’ ‘my heart is fixed, trusting in the Lord.’ In order to reach this, you must find Him enough, without anything else. We all say that He is enough, but it is quite a different thing to know it practically. You can never prove the worth of anyone, until you are absolutely dependent on him.” -J.B.S. “Our Father’s purpose is an ‘eternal purpose,’ from eternity, embracing an eternity to come. He does not shape His thoughts according as circumstances arise, but the circumstances are controlled by His thoughts and plans. How blessed to know that He is absolute Master in all things; that even ‘He maketh the wrath of man to praise Him, and the remainder of wrath He restrains.’ It is the only thing that can give the smallest comfort in the midst of such a scene of confusion all around us.” -F.W.G. “Be anxious for nothing, but in everything, by prayer and supplication with thanksgiving, let your requests be made known unto God” (Phil. 4:6). Exchanged Life Counseling is an application of the message of identification with Christ (Rom. 6:1-4, John 15:1-8) to clinical discipleship. Sometimes our brothers and sisters in other branches “the family tree” are suspicious of our doctrinal perspective. Since the writings of Watchman Nee (such as The Normal Christian Life) are classic, valuable resources, we may be called upon to reassure inquirers that his teaching is well within the boundaries or orthodoxy..
Not that we have will individually have complete agreement with Nee/ Lee literature, but it is helpful to have this research and vindication handy.